Transurban manages and develops urban toll road networks in Australia and the United States of America. A top 20 company on the Australian Securities Exchange (ASX), Transurban is the owner and manager of the toll road, CityLink, in Melbourne, Victoria. The CityLink app allows customers to have more visibility and control of their CityLink account, where previously it was not as easily accessible. The objective of the CityLink app is to increase customer engagement and provide an additional channel to deliver excellent customer service. The purpose of the CityLink app is to empower customers to make simple transactions quickly and easily, anywhere and anytime. 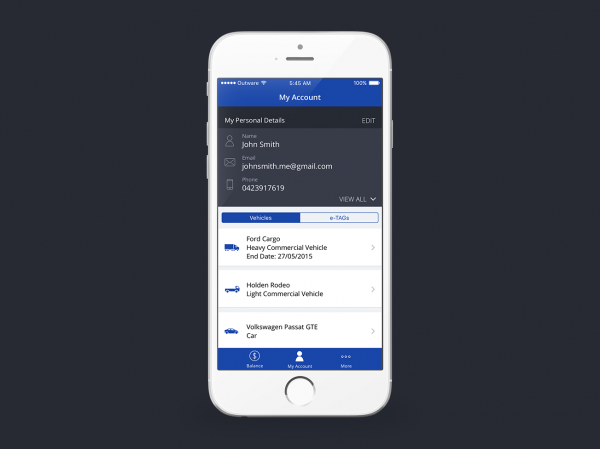 This includes making payments, managing account details and managing vehicles registered to the account. 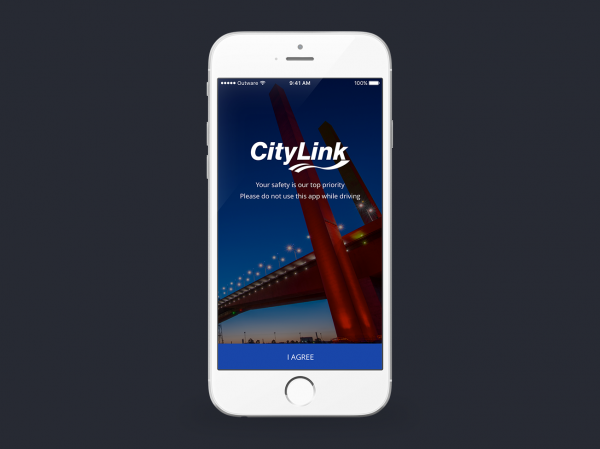 To ensure that the app is as user friendly as possible, Transurban conducted multiple rounds of user testing with CityLink customers during every stage of the project. 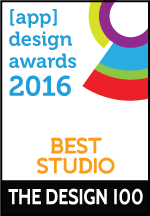 This included testing paper prototypes, wireframes, visual designs and prototypes. The result is an additional channel for customer interactions, that enables Transurban to provide greater and more convenient customer service. Given the ubiquitous nature of mobile technology in Australian society, Transurban recognised the need to provide customers with easier and more convenient access to their account information. The CityLink app addresses this need by not only providing useful and relevant features to CityLink customers, but by creating an exceptional user experience. Simple transactions such as payments, updating account details and adding vehicles could previously only be performed on the web or over the phone. 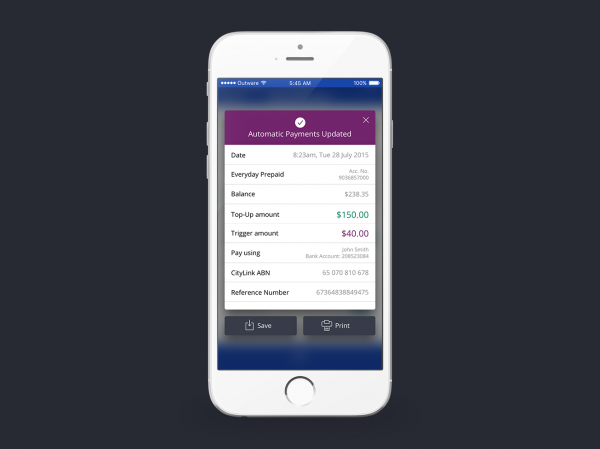 By making these features available in app, Transurban empowers customers to be proactive about managing their account. A number of innovative technologies have been used on this app. 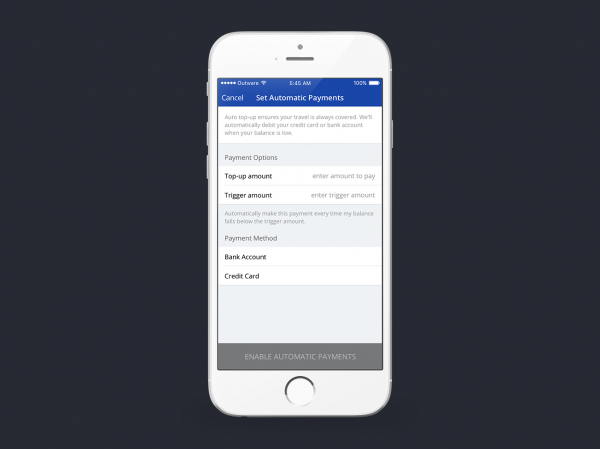 The app is written in Swift, the new Apple programming language for the iOS platform. 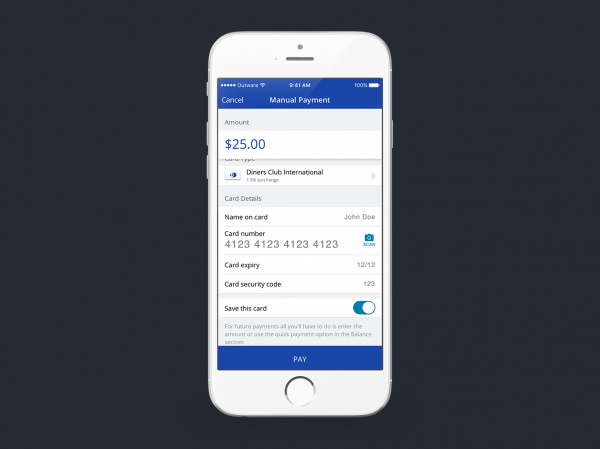 The app also allows users to scan their credit card by taking a photo of the card, automatically pre-filling the required data fields, instead of requiring the user to enter it manually. Creating a great user experience was critical to the success of the app. To achieve this, Transurban conducted multiple rounds of user testing with CityLink customers, throughout the project. 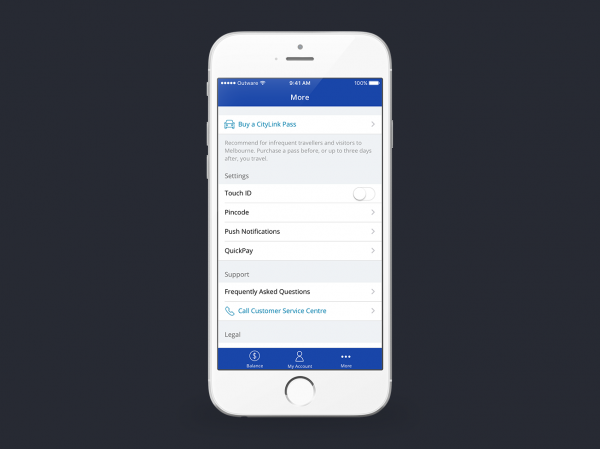 With each round of user testing feedback, the app was further refined and developed to ensure a great experience that provides users with the most important information as early as possible. The result is an easy to use, valuable and convenience app. The marketing strategy for the app is to engage CityLink customers as early as possible in the process of designing and developing the app. Not only were customers invited to participate in user testing, but the first release of the app will be made available to select group of registered participants. The goal of this release is to gather feedback to further improve and enhance the app, which increases customer engagement and satisfaction. A user survey will be sent out after the initial release to gather feedback, which will then be reviewed and scheduled into the release schedule of the final public release of the app. Transurban respects people’s privacy. Transurban is bound by the Australian Privacy Principles in the Privacy Act 1988 (Cth) (the Privacy Act), as well as other applicable laws protecting privacy. In some instances, road specific legislation sets out additional relevant privacy obligations. Transurban will ensure that all the personal information that it handles is managed in accordance with those laws. Apps have forever changed how we live our lives. We're looking for those apps that help us live better, smarter, have fun and just get more out of life whether that be cooking, gardening, renovating, shopping, sport, dating, hobbies or searching for your first home.